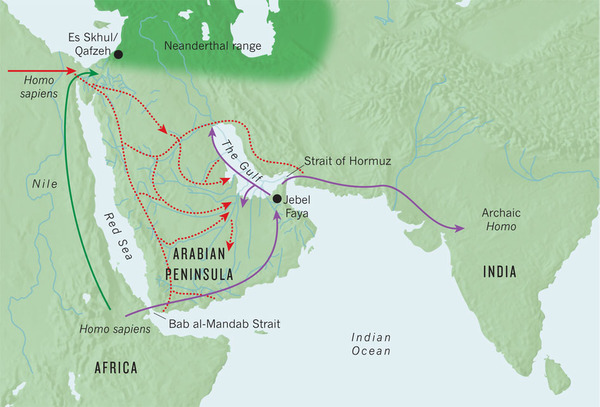 The goal is to establish a Pleistocene to Holocene history of climate change – a palaeoenvironmental record – of the Arabian Desert. The record will be unique in terms of its length and level of detail, providing the only long-term terrestrial stratigraphic record for the Arabian Desert. Existing records are focused on the far south and east of Arabia, with little known of interior palaeoenvironments. We propose to conduct detailed stratigraphic research in northern, central and southern parts of the peninsula. We shall use a multi-proxy approach to generate a unique palaeoclimate record from these lacustrine and fluvial sections. Records from a variety of archives, such as speleothems and lacustrine deposits, have demonstrated the marked fluctuations in the past climate of the Arabian Peninsula between wet and dry phases. Such fluctuations would have had a significant effect on Arabian river hydrology, lake levels and ecological community. Spectacular and suitable deposits are present across large tracts of the Arabian Desert, and include long lacustrine and fluvial sedimentary profiles ranging across the Pleistocene and Holocene periods. The record of climate change in the Arabian Desert will also present an opportunity to examine potential continuities and discontinuities in Pleistocene and Holocene settlement and the relative ability of populations to cope with environmental challenges.